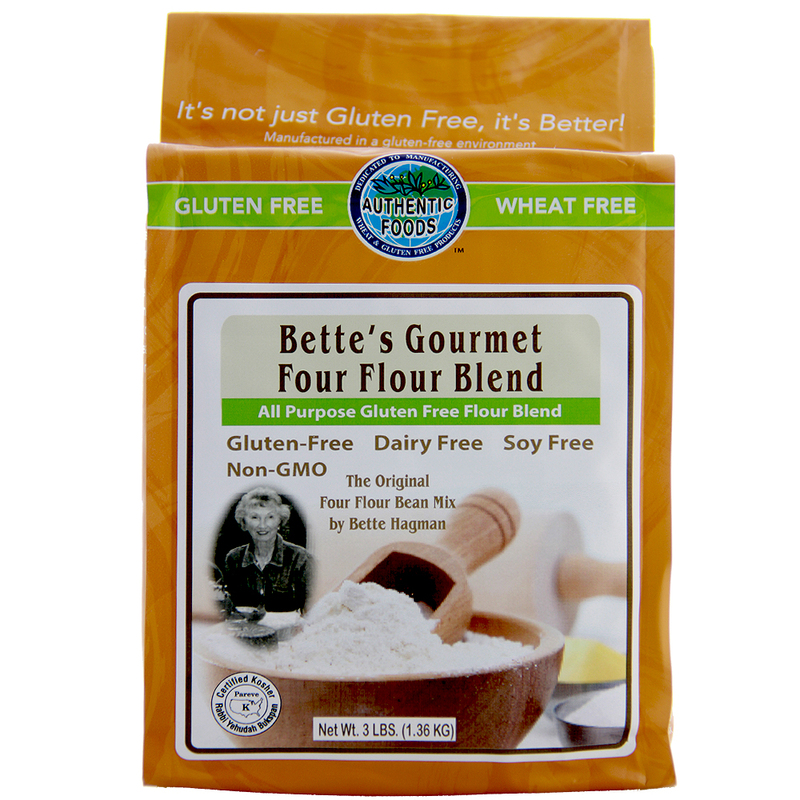 The Authentic Foods Bette’s Four Flour Blend is Non-GMO. It is referred to as the Four Bean Flour Mix in many different recipes. 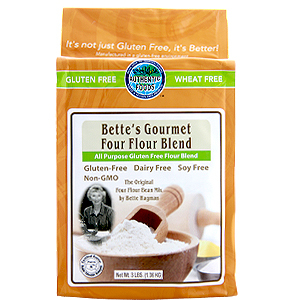 This flour blend was developed by Bette Hagman, author of the book, The Gluten-Free Gourmet Bakes Bread. Bette Hagman tells us that this flour will exchange cup for cup with wheat flour. This flour blend will also add more protein and fiber to your baked goods. Preheat oven to 375 degrees Fahrenheit. Grease 8 muffin cups or cupcake liners on 8 muffin cups. Set aside. In a medium bowl, whisk together the Authentic Foods Bette’s Four Flour Blend, the Authentic Foods Xanthan Gum, salt, baking powder and sugar. In a small bowl, beat the eggs with a fork until frothy. Stir in oil and liquid. Pour this into the dry ingredients and stir with spoon until well blended. (Do not beat.) Add the optional ingredients, if desired. Spoon the batter into the prepared muffin cups and bake for 20 minutes. The muffins are ready when the top of the muffin bounces up to the touch. If you touch the muffins and they sink down, then the muffins are not ready.